The Tamil Film Producers’ Council has decided not to release any film starting this Friday, October 6th, 2017 till Diwali unless a solution comes out. A local government body in Chennai announced couple of days back that there will be an Entertainment Tax levied on all tickets which will vary between 7-14%. This would be over and above the GST that’s being levied already. This decision to levy more tax did not go down well with the Tamil film industry since this will mean more taxes and less revenue. In protest against this, the Tamil Film Producers’ Council has decided not to release any film starting this Friday, October 6th, 2017 till Diwali unless a solution comes out. “The council has already expressed its stand on the issue during various meetings with government officials,” the Council said in a statement. 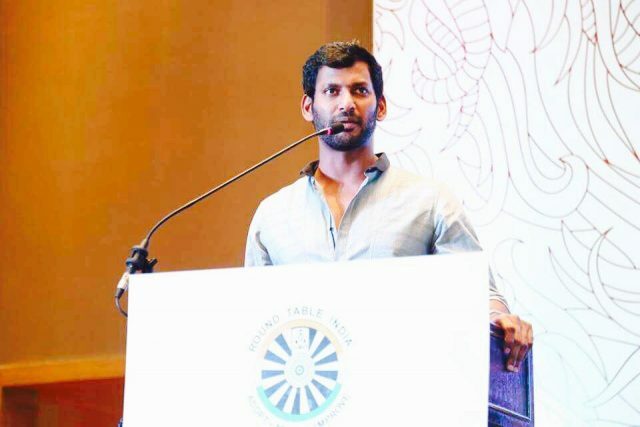 Head by actor Vishal, Tamil Film Producers’ Council had resorted to such step in the past when the GST was implemented from July 1 and the local municipal bodies decided to levy an extra Entertainment Tax. The situation is back to square one again with the local government body deciding to continue with the levy of the tax. Opposing this decision, even the Multiplex Association of India has gone an indefinite strike from Tuesday and have decided to keep the cinema halls shut till the time the tax is not waived off. These decisions of halting releases and shutting theatres down come at a time when there are big films lined up for release which includes Vijay’s MERSAL which is one of the biggest releases this year. Talks between the government officials and the Tamil Film Producers’ Council is expected to progress over the next few days with regards to this.